Get the benefits of a cup of coffee in a spill-proof format! 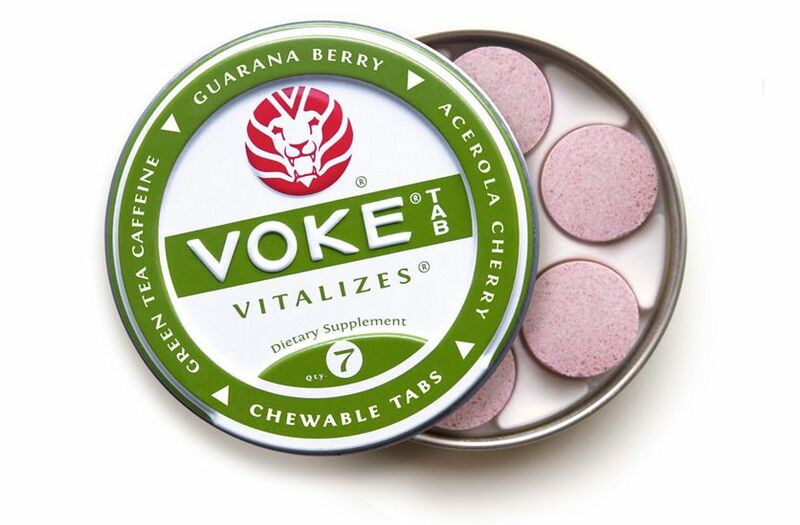 Voke Tabs come in a cute little tin with 7 tablets, making it super portable and convenient to carry with you for a quick boost of energy anytime you need it. The tablets are about the size of a SweeTART with a similar consistency and tang and a slight vitaminy flavor. Made with Guarana Berry Seed, Acerola Cherry, and Green Tea Leaf Caffeine, you’ll have a clean source for enhanced focus and memory, 100% of your daily requirement for vitamin C, and natural endurance and energy with no sugar and no artificial flavors or colors. One tablet contains 77mg caffeine which is the equivalent of 1 cup of strong tea. We found that after chewing one tablet, we didn’t have any jitteriness and didn’t crash after a few hours, just some much needed extra energy for our TrailblazerGirl activities!